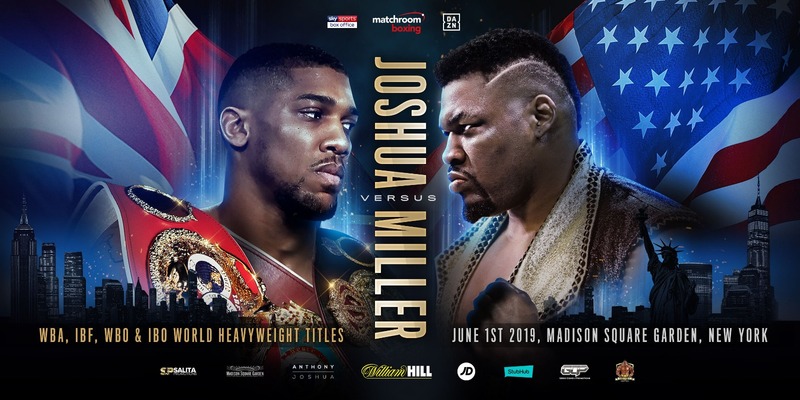 Joshua vs Miller OFFICIAL NYC in MSG 6/1/19 TICKET INFO! ANTHONY JOSHUA VS BIG BABY MILLER OFFICIALLY ANNOUNCED! NYC MSG TICKET INFO & PROMOS! 🥊 – Why this fight? 👶 – Why this opponent? @EddieHearn explains the decision to head stateside as @anthonyfjoshua has announced he will defend his titles against @BIGBABYMILLER.